Chemical storage and chemical spill containment is serious business. Environmental Products manufactured by Benko offers many practical solutions. From our Spill Containment Pallets, to our chemical storage cabinets and buildings, Environmental Products has many OSHA compliant options. Contact one of our chemical storage specialists or Request a Quote Today. Hazardous liquids and materials have special storage requirements. Most businesses have a number of chemicals on-premise, like gasoline, paint thinners and cleaning supplies. 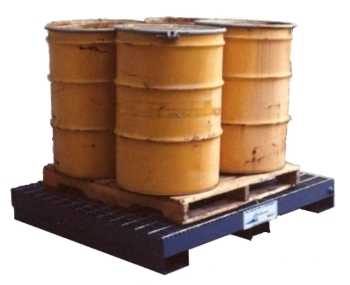 All chemicals, especially hazardous chemicals require appropriate handling and safe storage. Whatever you are storing, Benko Products EPI line of Chemical Storage and Spill Containment Solutions has what you need to solve your problems. 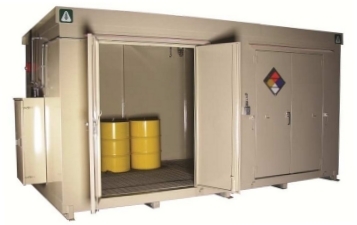 If you have a special hazardous materials storage situation that requires a custom design, we can help. We build in the USA to suit your needs, based on the specifications you provide. Contact one of our specialists today, to learn how we can help you protect your workers and the environment with our Chemical Storage and Spill Containment solutions.